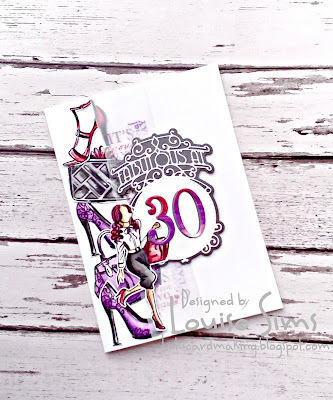 I've stamped several of the accessory images from the 'It Girl' stamps and coloured with my Nuvo Aqua Flow pens. 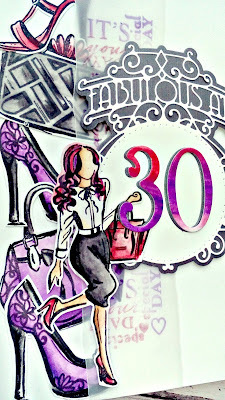 These were then layered on to the side of my card. 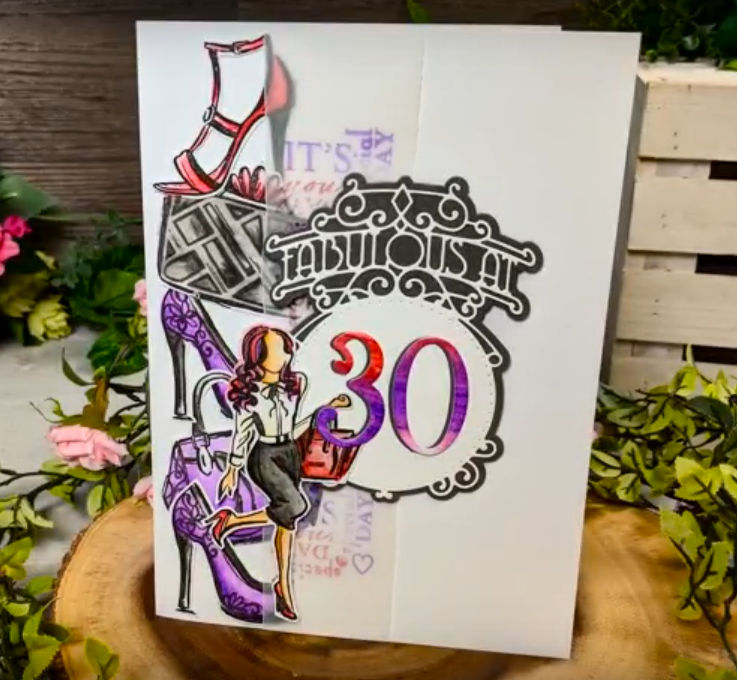 Using the 'It's your day' sentiment strip stamp and my Nuvo Diamond Hybrid inks, I created my multi-coloured sentiment on to vellum, attaching it behind the 'Fabulous at ... ' die. 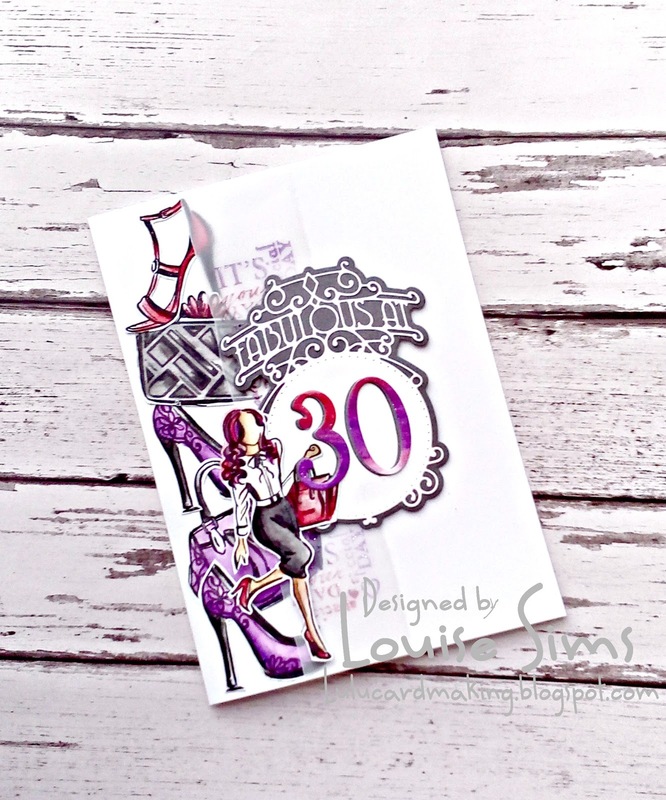 The stunning 'It Girl' was also stamped and water coloured, picking up the colours from the shoes and bags. I have cut her out leaving a small white border. Whilst doing my colouring, I created my coloured card which would be used for the numbers - to co-ordinate perfectly. 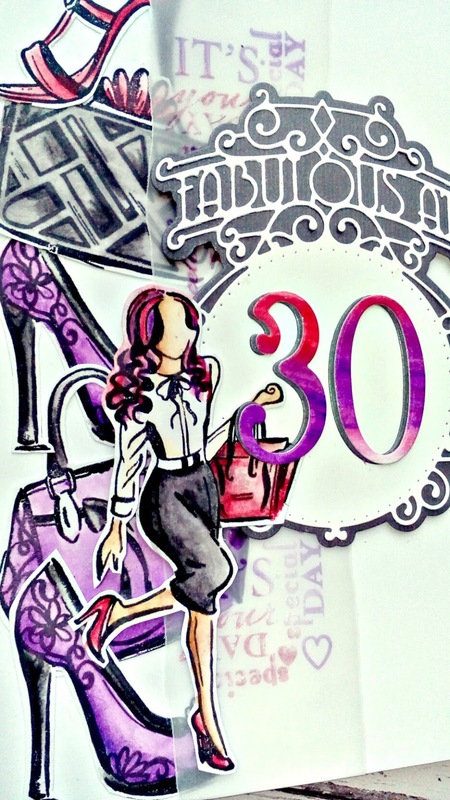 The 'Fabulous at' was cut in white & the back panel in grey. I love this card and the colors you chose. Great job. Thanks for joining us and good luck! 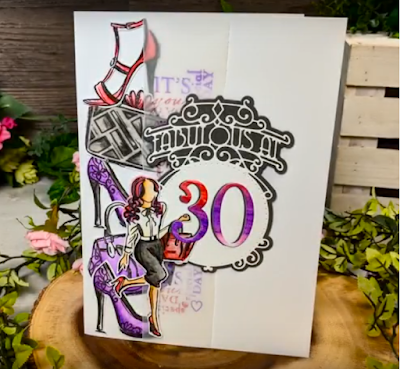 Great 30th card Thank you for sharing with us over here today at the Classic Open Design Team Challenge and best of luck with your entry. 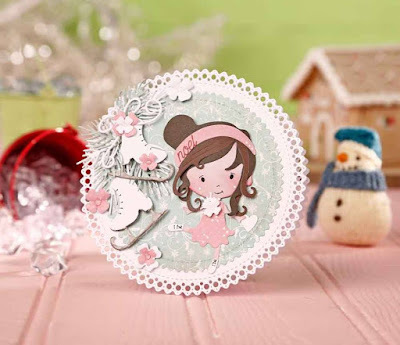 Great project, thank you for joining us at Classic Design Team Challenge Blog.